What Is the Purpose of the Cylinder Trolley? 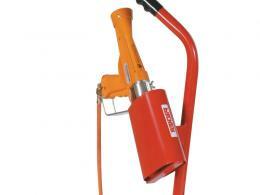 If you’re shrink wrapping your own film, you have a gas cylinder attached to your heat shrink gun. This gas cylinder could be anywhere between 13kg-47 kg, depending on the size of your operation. It’s not a very portable or simple solution to have to lug that around whenever you need to shrink wrap a pallet or a product. This is what the cylinder trolley is designed to help you with. 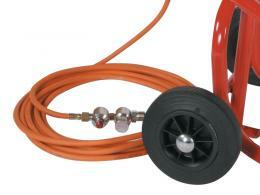 The gas cylinder trolley works to make your heavy and awkward cylinders easy to move around. 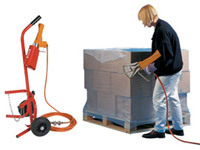 So, whenever you need to shrink wrap a pallet or a carton, you simply wheel over the cylinder trolley and fire up the heat sealer gun. The trolley even comes with a heat sealer gun holster attached to the trolley handles. 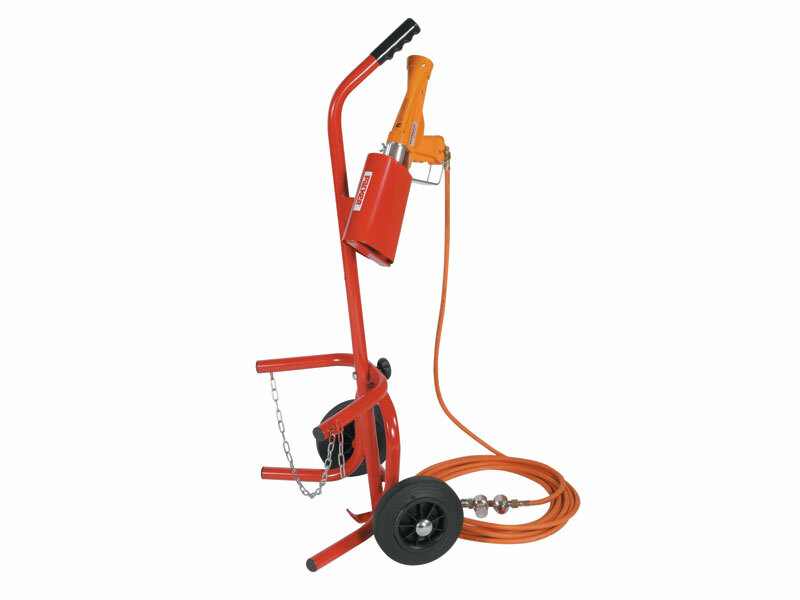 The sturdy construction means that this trolley can handle those heavy cylinders as well as a hot shrink gun even immediately after use. The gun is not included in the trolley package. Where Can the Cylinder Trolley Be Used? Your warehouse shipping end and loading docks should have a dedicated cylinder trolley ready to go. This trolley houses the cylinder and the heat so you can shorten the time even further. Just wheel out the trolley from your loading zone and shrink wrap whatever you need, and wheel it away again when not in use. Who Might Use the Cylinder Trolley? The cylinder trolley can be for heavy users or the occasional shrink wrapper. The trolley is designed to make life a little easier when you need to store your gas cylinder away, or if you need to access it quickly and move it around the warehouse floor. This makes it perfect for all your delivery drivers and pallet loaders. Can handle 13kg, 19kg or 47kg cylinders with sturdy, galvanized chain. Gun holster included on the handles for easy storage of your heat shrink gun. Single handle and large wheels make this a one-handed operation. 1-year warranty on all parts and labour with this purchase.